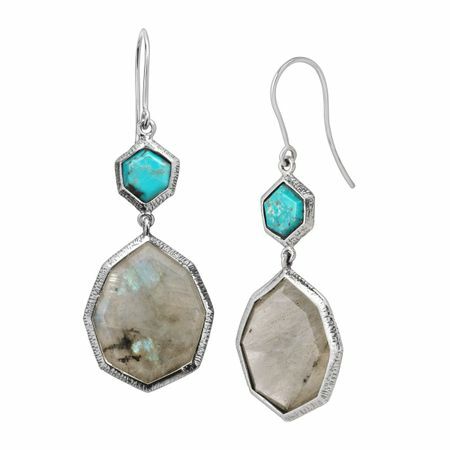 Bright turquoise and multidimensional labradorite are stationed along these drop earrings, perfect for adding earthy color to your outfit - any time of year! Earrings measure 2 1/8 by 3/4 inches and feature French wire back findings. Pieces come with “.925” sterling silver quality stamps as symbols of guaranteed product quality.